The BTR was Ruf Automobile’s first big time model. Ruf, of course, is interesting because they are their own manufacturer as they get Porsche chassis/bodies before a VIN tag is applied and tune them, before selling them under their own name. This car began life as a Porsche 911 (930) Turbo. The BTR was available between 1983 and 1989. They built between 20-30 original cars, and converted (or upgraded) a few 930 Turbos after that to BTR specification. That specification is a turbocharged 3.4-liter flat-6 making 374 horsepower, which is 40-ish more horsepower than you would’ve had if you’d stuck with the Porsche. When introduced this was among the fastest cars in the world, with a top speed approaching 190 mph. This car sports 35,000 miles and it’s a very rare opportunity to acquire one. A few Rufs have come up for sale recently, but this is a classic. Click here for more info and here for more from this sale. Update: Not sold, high bid of $160,000. 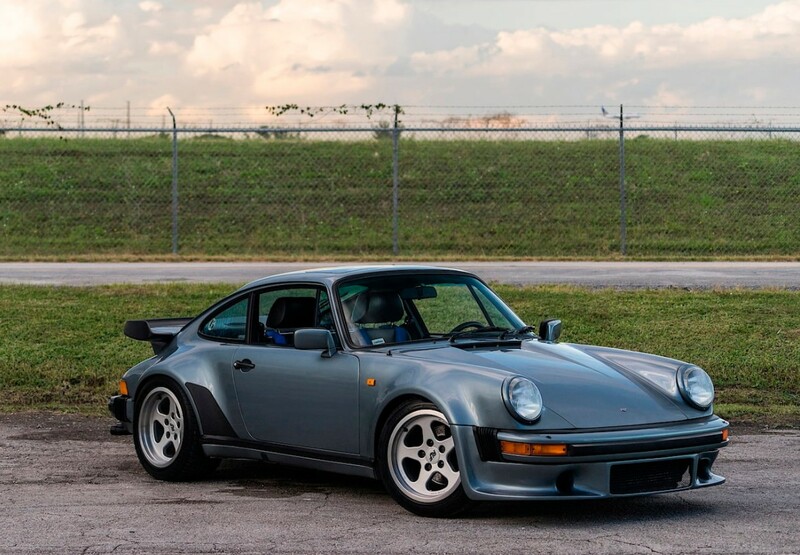 This entry was posted in Uncategorized and tagged 1984, 911, auctions, btr, cars, classic cars, mecum, porsche, ruf, sports cars, turbo by classiccarweekly. Bookmark the permalink.